With a median home price at over $625,000, Northbrook enjoys the upscale reputation of such affluent neighbors as Wilmette, Highland Park, and Glencoe. But while Northbrook shares much with its Chicago northern suburb neighbors (including excellent schools, splendid homes, and a commutable distance from Chicago’s downtown), it is truly a unique village offering its own brand of excellence and variety, both of which open up a world of possibilities. Prior to 1850, the area was mainly just a stopping place for travelers heading to Chicago. But it was home to a brickworks, and after the 1871 Chicago fire, when bricks became the preferred (nonflammable) building materials, the area boomed. In 1901, the Village was named Schermerville, after Frederick Schermer, who donated the land for the first train station. Thanks to the presence of its many saloons, Schermerville became known to be a relatively rough, rollicking town, and in 1923, its residents decided to give it the more genteel name of Northbrook, derived in part because of the Chicago River’s north branch, which flows near the Village’s eastern border. Northbrook’s borderlines are wildly irregular, but its roadways make it easy to maneuver. At the northwest corner, Highway 94 splits into 294, which heads south, and 94 which runs east and west along the Village’s northern border before curving at the eastern edge to merge with the north-south Highway 41. The interior is riddled with major arterials, including, Waukegan Road running north and south, and Dundee and Willow Roads traversing the village east to west. A small border extension to the north runs along Lake Cook Road and encompasses the high-end Northbrook Court shopping mall. Northbrook enjoys the distinction of being home to a variety of unusual and diverse groups and services. It’s there you’ll find the Islamic Cultural Center of Greater Chicago, which services Muslims of all ethnic backgrounds and is active in interfaith work dedicated to promoting harmony among all faiths. Another distinctive element is the Ed Rudolph Velodrome, a cycling speed racing track operated by the Northbrook Park District. Along with hosting competitive meets, the Velodrome also trains racers and provides summer races for as many as 200 cyclists. In addition, the Village is home to the Chicago Curling Club, offering anyone the opportunity to watch league games, called bonspiels, and weekend tournaments. Visitors can also learn more about the sport at the United States Curling Museum, located within the Club, which is nationally recognized as one of the finest such facilities of its size. Another unique and charming feature of Northbrook is its city center, which includes the beautiful Village Green, a ten-acre recreation area managed by the Park District. This unusual downtown green space provides baseball and soccer playing fields, an old-fashioned gazebo, walking paths and a playground. Utilized by little league and anchored by the Park District and Historical Museum, the Village Green is surrounded by shops and restaurants and is walking distance to the Village Hall and public library, creating a unique oasis that draws residents to enjoy and participate in their downtown events and activities. Scattered around the Village are a senior center, dog park, skate park, aquatic center, batting cages and tennis courts, as well as 22 parks on more than 500 acres, all managed by the Park District. Northbrook is more than a fine place to live: it’s a place to find the unusual, and to love and explore life and all its possibilities..
People who live in Northbrook want more than just to live an upscale life: they want to experience and learn about all the great things life has to offer. That’s why when they decide to renovate their kitchens, they overwhelmingly turn to Regency Home Remodeling. They know that Regency will share their vision, however innovative or daring, and make it a reality. They know Regency will work with them to explore different designs and materials for the most up-to-date possibilities. They appreciate Regency’s professionalism and drive for perfection, with the finest craftsmanship and the finest materials, to follow the homeowner’s for something that will showcase their individuality, yet be loved for years to come. 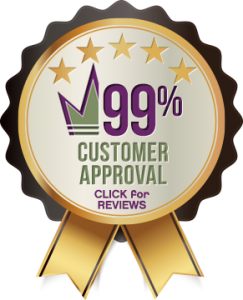 Regency Home Remodeling enjoys an over 99% customer approval rating and is widely considered the best home remodeler in Northbrook, IL. Don’t take our word for it. View project photos, see what our customers say about their experience of working with Regency. When you’re ready to remodel your home, contact us at 1 (773) 930-4465 and get the Exact Regency Price!